Results never come instantly or at least the ones we want don't. Everything takes work, and the harder we work, the better the outcome. 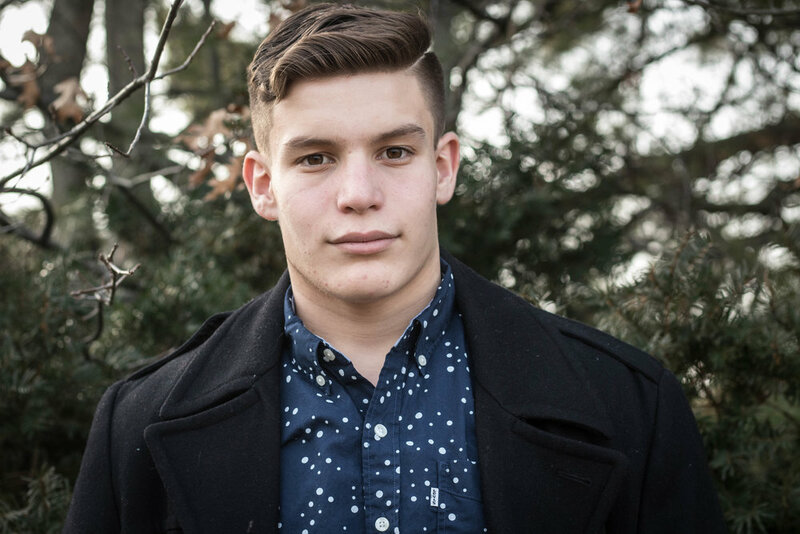 Today's January fashion and teen winter fashion individual, Nick, speaks of his transformation from a heavy weight little kid to a built young man as well as his love for the sport of basketball. Growing up, he always knew he was big, but he got to a point where he realized it was too much and turned around all his habits. He began a routine of eating right and working out. What may seem like a difficult task for some, ended up being enjoyed by Nick who takes pride in his new lifestyle. Along with playing his favorite sport, Nick was able to get himself into a shape that he couldn't have imagined. This past summer, Nick delved himself into weight lifting. He put in hours for it every single day, and has had a steady progression. It's by no means easy to start working out, and it's hard to watch other people who have been doing it for far longer. Desired results won't come easily or quickly either. Yet, after a few months, Nick's noticed definition in his arms and legs, which is very rewarding because he can see that his hard work is paying off. It's inspired him to know that if he has a goal in his mind, he can reach it. Working out has also given him a sense of pride and confidence. He plans to continue his progression in the in the weight room but also somewhere else too, the court. Although Nick's only been grinding in the gym for a couple of months, he's been playing basket ball since he was six and has the position of small forward. Basketball has also had a significant effect on his weight loss too. During his years, Nick has won a championship in his AAU league and after a decade of playing the sport, he's come a long way in his skill. It's not just his skill that's developed though. His love for basketball has grown to the point where Nick wants to work in an educational environment, so he can be a coach some day. Basketball is his preferred sport because every aspect of a player is challenged, it's fast paced, and especially due to its team oriented nature. It's a sport that he has no intentions of stopping his participation in any time soon. Thanks to basketball and weightlifting, Nick has created an active life filled with a lot of friends he's met along the way. It's a change up from what he'll wear during weight lighting or playing basket ball, but Nick's still rocking a great outfit for today's teen winter fashion and January fashion. Starting at the bottom, he's wearing a pair of black low top vans, a heavily versatile set of shoes that can work well with plenty of looks. Next, Nick has on a pair of men's khaki chino pants whose fit works well for Nick's built figure. His top is a men's blue short sleeve button town decorated with an array of little white dots to give a little flair. Finally, Nick's styling a classic men's black wool pea coat that matches the color of his shoes and finishes off his outfit. His apparel ins't too heavy, and that's a good thing considering it's hitting the fifties here in New Jersey during January. Regardless of weather, for today's featured look, Nick is providing another stellar men's outfit for winter fashion inspiration. Tagged: Men's Black Wool Pea Coat, Men's Khaki Chinos, Men's Khaki Chino Pants, Men's Blue Short Sleeve Button Down, Blue Short Sleeve Button Down, Classic Black Vans, Low Top Black Vans, January Fashion, Teen Winter Fashion, Winter Fashion Inspiration, Nick H.